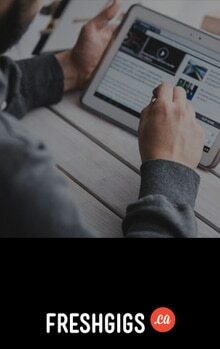 In our Creative Cultures series, writer Isabel Chalmers spends a day inside companies to learn how hiring, onboarding, and company culture play a role in employee happiness. 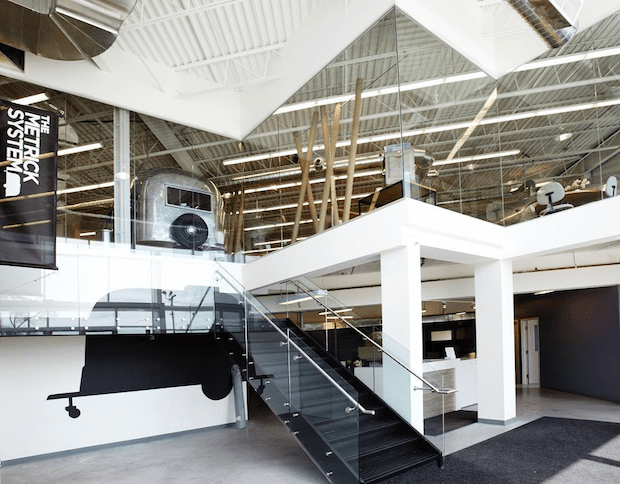 From start-ups to design firms and all in-between, we’re pulling back the curtain on what it’s like to work in inventive and productive environments. Today, Isabel is at The Metrick System in Toronto. 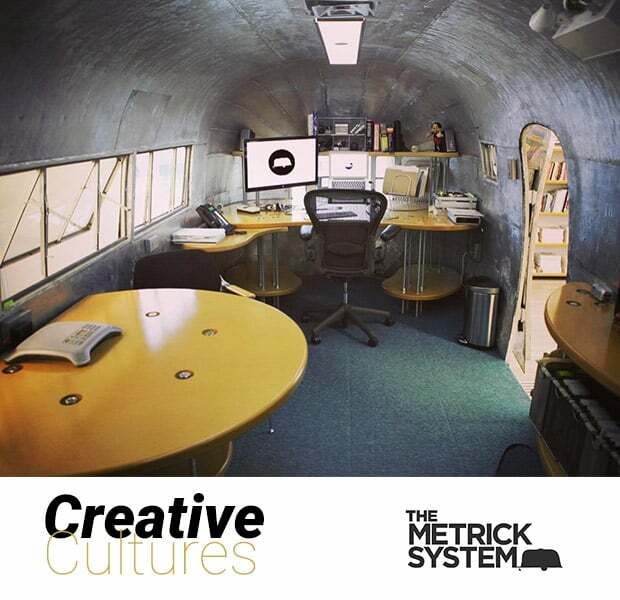 First things first, The Metrick System, a branding and design agency with a focus on storytelling, has a really awesome office space. So awesome, that is was listed as one of the coolest office spaces in the world by The Wall Street Journal. I mean, what other office keeps bees (yes, they keep bees) and a repurposed classic Airstream trailer as a kitchen? There’s really nothing un-interesting about The Metrick System, even the work they do is cool (they were the masterminds behind the first ever 3D book printed in space, aboard the International Space Station). After spending the day at the office, talking with The Metrick System’s president, Laurence Metrick, I left motivated, inspired, and with a little jar of honey, made just by them. “We had to hire a massive forklift to move the trailers in here,” Laurence tells me, laughing at the spectacle of it all. They also had to take down a whole wall, making a deal with the landlord that they’d never leave. And why would they? The space is gorgeous, with an unheard of amount of natural light for an office space, 14-foot ceilings, and incredible views. 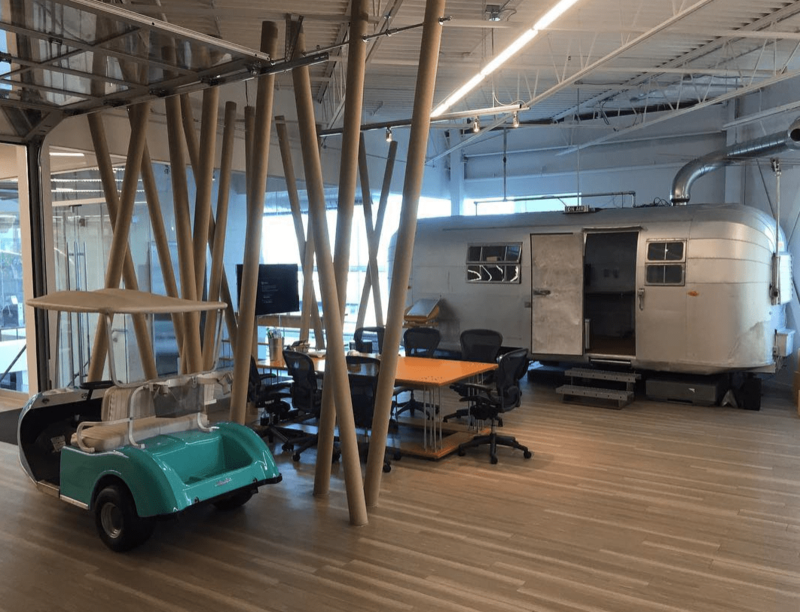 Not to mention, a golf cart (which I’m warned goes a little too fast), a glass garage that doubles as a door into their studio, and three trailers, each repurposed for different uses. The repurposed trailers, now The Metrick System’s staple, were actually first born as a solution. When the entire audio was lost on a National Film Board project, instead of flying back to each location to re-record, Laurence gave the advice to, “buy a trailer, put in a bed and a mic and drive it across the country.” It worked so well, Laurence felt it was a no-brainer to have The Metrick System’s recording studio in a trailer as well, and from that, it kind of snowballed. “We hired a couple from Florida to drive this trailer up for us,” Laurence tells me, “and they chose to sleep in it over the hotel we booked for them.” Once the trailer arrived, they gutted it and turned it into Laurence’s office. It’s cozy, as one could imagine, and more spacious than you’d expect. They hired the same couple to drive the next one up, too, and turned that one into a kitchen, sitting directly in the center of the office. When a staff member of thirteen years lamented that his spouse wouldn’t let him keep bees in their backyard, Laurence didn’t think twice. “We bought an Italian Queen bee,” Laurence explains, telling me they’re the most docile, “and now we have a couple hundred thousand.” They get around forty to eighty pounds of honey a year which they package into jars and make honey gummy bears and lip balm with to gift to clients and office guests, like me. “One of our programmers is our beekeeper,” Laurence tells me, somewhat laughing at my reaction. When I ask him how they decided who would keep the bees, he says it was simple. “I asked who wants to be a beekeeper and he raised his hand,” he tells me laughing. 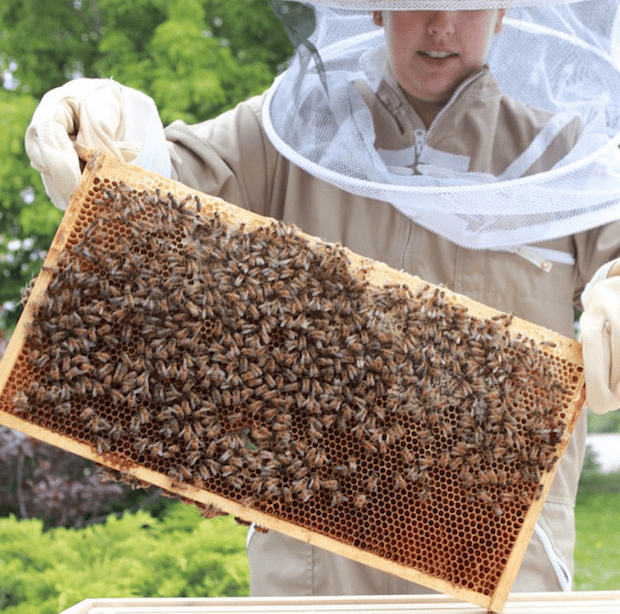 If you want to hear more, check out their Bee Diaries to learn from interesting facts about bees and to keep up on the happenings of their hive. “In the next ten minutes you’ll see everyone take off to get lunch,” Laurence points out two colleagues leaving the office together, “and I don’t know if it’s an unwritten rule but, you don’t talk about work at lunch.” On my way out of the office, I catch a glimpse of just about everyone (literally, everyone) in the office sitting together at the lunch table laughing and eating, and it’s nice to hear that they’re not talking about work at all, they’re just enjoying each other’s company.